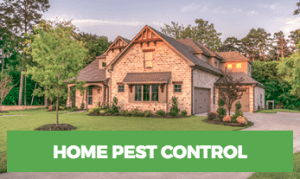 Home » Pest Control » Do Ultrasonic Pest Repellents Work? Do Ultrasonic Pest Repellents Really Work? 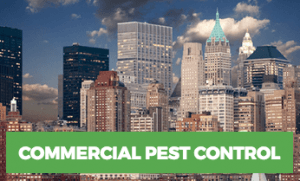 A pest infestation is one of the most common and frequent problems every homeowner will face eventually. But the resilient and sneaky nature of pests can make them difficult to eliminate. Even though they can be difficult to eradicate, you also can’t just leave them unchecked. Pests can cause numerous problems from transmitting diseases, contaminating food, to causing property damage. You’ll find the market filled with pest repellents, and endless DIY methods on the internet claiming to get rid of them. But the truth is that many of them prove to be ineffective. At best they may give you only temporary relief. Popular among these products are ultrasonic pest repellents. They’ve caught people’s attention because of their claims to eliminate all sorts of pests from home. Their easy installation makes them a favorite among consumers. Also, being chemical-free is a huge selling point too. But are these repellers actually as effective as they claim to be? Well, this is debatable as their effectiveness has been disputed by the U.S. Federal Trade Commission (FTC), and numerous testing labs. The maximum audible sound for humans is 20,000 Hertz. Ultrasonic sound waves are those that have a frequency higher than this upper audible limit for humans. Ultrasonic sound is used most often in fields such as medicine and in military industries. Different manufacturers have utilized ultrasonic sound in pest control devices. Although humans can’t hear ultrasonic sound waves, pests and other insects are able to hear them loud and clear. 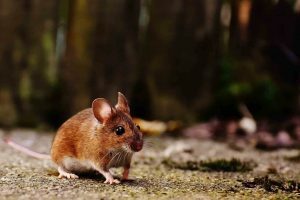 The idea behind ultrasonic pest control devices is to emit high-frequency sounds at a suitable level to irritate pests enough forcing them to leave. These devices are about the size of a cell phone charger that you plug into an electrical socket. It will start emitting high-frequency sound waves which will be disruptive for pests and bugs. Ultrasonic waves cause audiogenic seizures in bugs. 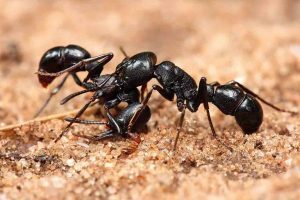 This physiological response can cause convulsions, non-directional running, and cerebral hemorrhages in pests. The logic behind using ultrasonic devices is that the sound waves will disrupt pests from building nests, breeding, and communicating. This disturbance will make unbearable for them to live in that area, eventually forcing them to leave. Several studies have been conducted to determine the efficiency of ultrasonic pest repellents. The results so far have been mixed. Some repellents exhibited short-term effects in controlling a few pests. Meanwhile, others outright failed to deliver any good results. Research conducted by Kansas State University in 2002 established that some of the devices were effective in repelling small insects like crickets. When it came to controlling cockroaches, those same devices were found to be slightly effective in repelling them. However, these same devices completely failed to deter pests like ants and spiders. Although, some rodents were found to be reasonably disturbed by the ultrasonic sound compared to others showing some distressed behavior. Unfortunately, the effects wore off in a few days even after constant exposure to the sound. Further studies and tests showed that the pests soon realize that the noise is harmless, and quickly begin to adapt to it. The few devices that actually produced results during testing, failed to provide any adequate results when installed in real-world situations. This is primarily due to the signals getting blocked by walls, doors, and other objects in the house. Over time their signals become weak and ineffective too. Another theory to their ineffectiveness is the simple fact that the pests get accustomed to the sound. Many animals use ultrasonic sound waves for echolocation, and bio-sonar purposes, so the pests comfortably live around them. The excessive use of ultrasonic sound waves around people has raised some safety concerns around consumers. They have been found to interfere with other signals around the house. They can interrupt a burglar alarm system, disturb the clarity of a phone conversation, and block hearing aids. 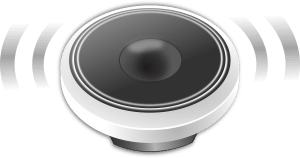 While the ultrasonic sound may be useful in controlling some rodents, they can be equally irritating and bothersome for pet rodents such as hamsters and guinea pigs, and even rabbits too. However, cats and dogs don’t seem to be bothered by these noises though. Manufacturers of these repellents make tall claims about their effectiveness, but their claims aren’t supported by any scientific evidence. So, the FTC (Federal Trade Commission) sent warning letters to the manufacturers in 2001 to prove their claims with scientific evidence, and have advised consumers to beware of these devices. If you are still determined to give these devices a try then it’s best to use them with pest traps. If the sound waves actually work to disorient them, it could cause them to scurry around, and get caught in a trap you have set for them. Keep in mind though that this is still only a short-term effect as the others will get familiar with the sound, and eventually be able to ignore it completely. The theory behind ultrasonic devices may sound impressive, but this makes sense only on paper. These have been proven to be barely effective. If they are, it’s just for a short period. For long-term and fully effective treatment, it is always recommended to go with a professional pest exterminator. They can thoroughly inspect your entire home, and identify the type of pest you are dealing with. They then devise a customized program targeting your specific pest problem.